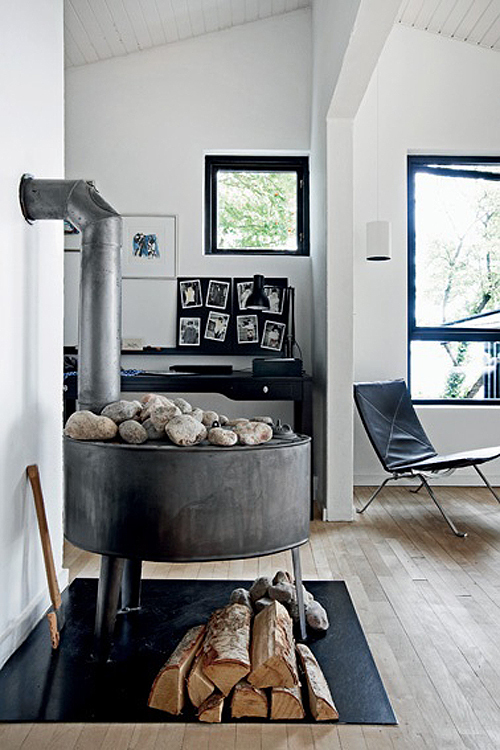 A few weeks ago I did a post about open fireplaces. 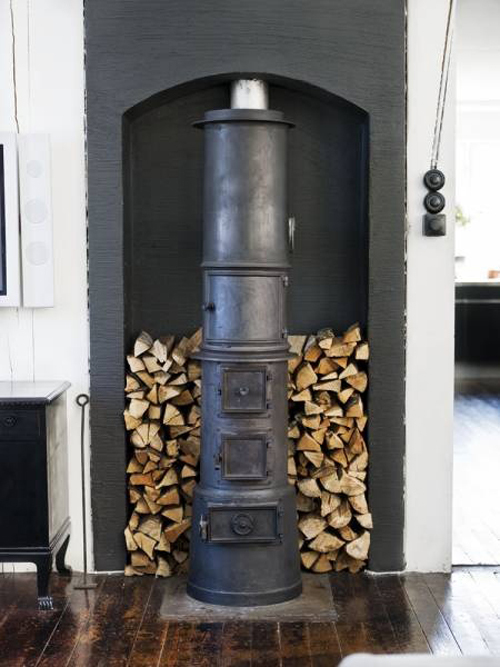 A good alternative for a fireplace is a wood stove, which is available in various shapes and sizes as you can see in these images. 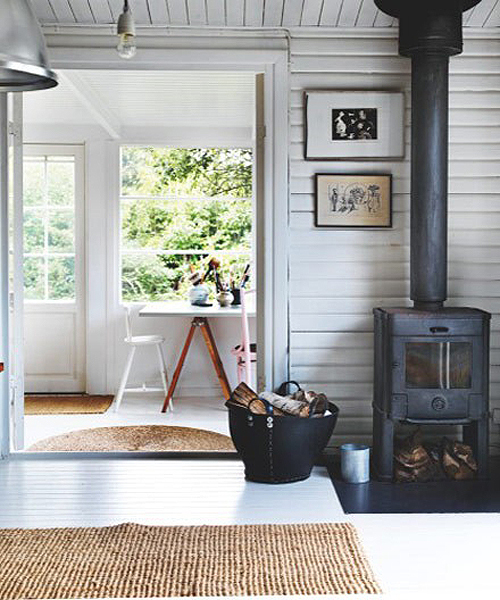 The biggest benefit of a wood stove is that it is more efficient as it gives more heath opposed to an open fire place which looses much of its warmth. When renovating our home we choose for an open fire place but I am not sure if I will make the same decision again. What are your thoughts on this? 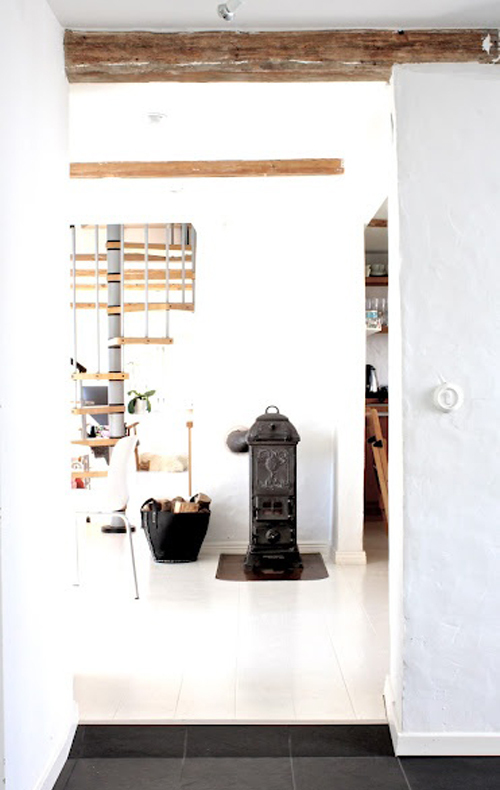 Hi there- beautiful blog, I found you via wood & wool stool. We installed a stove for the first time this year and it has to be the best thing we have ever done for the home! What i love about it is your ability to be able to control the heat- literally turn the flames up or down. When we go to bed at night, we stick a log on and turn the stove right down and then in the morning turn the stove right up again and the heat from the ash re-starts the fire again- amazing! I’ve had both fireplaces, and wood burning stoves. These days, I’m happy to have the stove because it’s not only great looking, it goes a long way toward keeping my energy bill / carbon footprint in check! 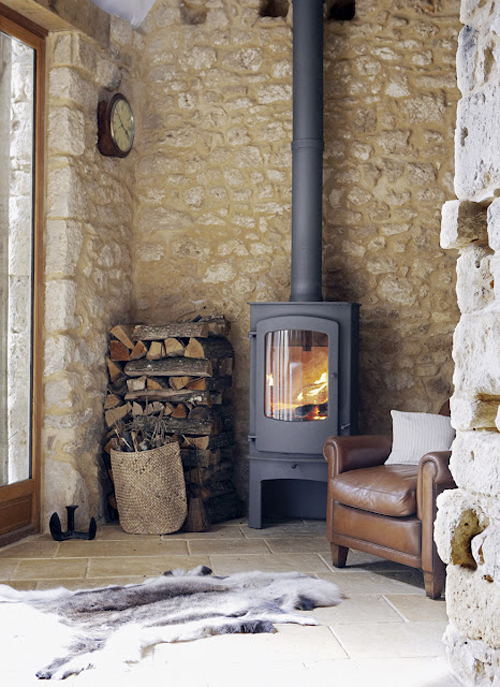 Wow, a fresh perspective on the beauty of wood burning stoves! I’ve had a bad impression my whole life because it was a very hard childhood chore to cut, stack, and carry wood! Hmmm, maybe I’ll have a new grown-up take on this thanks to you! Our only heating is a wood-burning stove and I love it, so efficient. If we want to see the flame we can open the door (or just clean the glass! ), and I even cook on the top if there is something that needs to simmer. 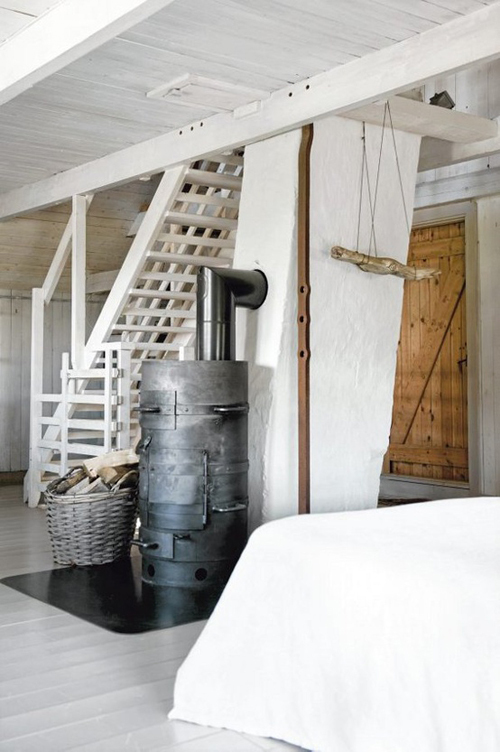 I used to have a stove in my London house as well, and used it rather than keeping the central heating on all day. It becomes a friend. Compared to open fireplaces, I prefer to wood burning stoves, because they are not heaters , they also are nice decorations for living room. However, the real fire of open fireplace is really charming, their inefficiency also make their owners helpless. Nice blog, nice post, thank you for your sharing! Best thing I have EVER bought is my wod burner. Love it. 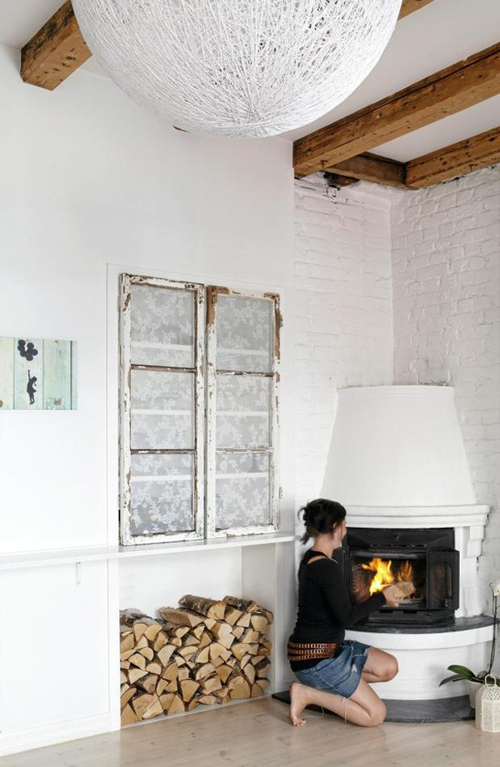 Yes, you are right – wood stoves are way more efficient than the fireplaces, but when it comes to aesthetic and good look, there is no doubt that the fireplaces are much more interior friendly 🙂 and so there more expensive. Wood stoves are the only way to go if you want heat, real heat. Fireplaces oh yes they are so pretty yay and how are you planning to heat the whole county ? We did that a few Winters in North Carolina on a North slope home place baseboard heat and the fireplace…baseboard heat is better than throwing your money out the window! Wood stoves are by far the best. In a grid down situation you can burn the furniture if ya have to. Cheat a bit with a kerosene to knock the chill when ya been away until the wood stove gets toasty HOT ! No electricity no problem and ya can cook atop your wood stove. Gee I wonder why it’s called a wood stove ?